With Mother’s Day just behind us my dear family was kind enough to treat me with a few tokens of appreciation. It should come to no surprise that tea was among them items. 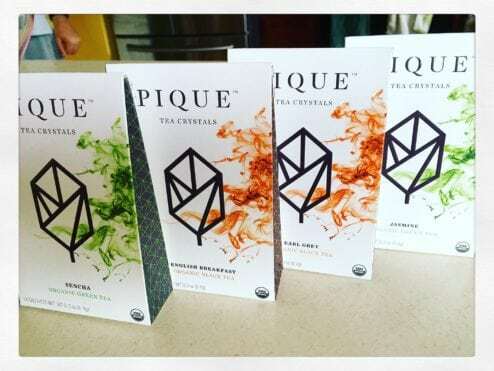 I for one have had so many different types of tea that the only way to “Pique” my interest these days is to find something unique. My family was very successful in achieving the desired shock factor. Among the other trinkets I was gifted were four different types of tea crystals. I will elaborate in detail soon. The different tea types were Sencha, Jasmine, Earl Grey, and English Breakfast which is what I sampled for this review. 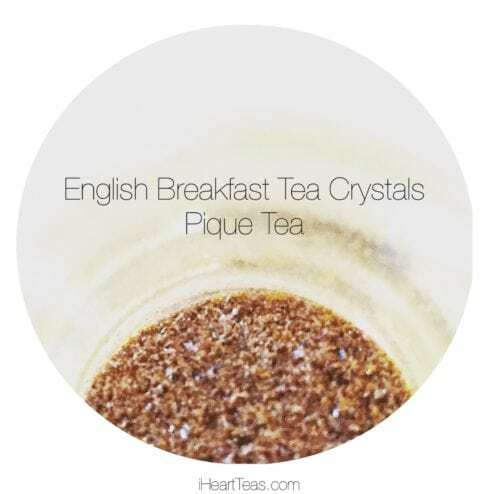 As per Pique Teas website they brew loose leaf organic tea and then crystallize it. Ease of use, convenience of travel, and for me flexibility for off brand use. I’ll explain later. Literally all you need is a package of tea crystals, hot water, and a cup. There is no steep time. Only thing you may consider is the time you need to wait for the water to be at a comfortable drinking temperature. I understand the same argument can be said for tea bags. However, seeing as this is in crystal form and packaged in an airtight container you are likely to get a fresher tasting cup. If you are like me and have carried tea with you on the go then you have also forgotten about tea in your purse, jacket pocket, sometimes even in your car. The flavor can be compromised due to surrounding external conditions such as temperature, close proximity to food, and air. All of the aforementioned factors and more can impact the flavor of the tea. In the case of tea crystals it seems less likely to be impacted by any of these external factors. For me this is a huge advantage especially in a pinch. BIG QUESTION! How is the flavor? I prepared this first taste test as instructed on the package. I used hot purified water with my tea crystals. In my opinion the flavor was standard. It provided me with an acceptable afternoon fix. I did not detect any strange flavors or odd after taste. The English Breakfast was very straight forward with no real distinct qualities. If you want hidden nuances or unique flavor profiles then this isn’t for you. The English Breakfast makes for a cup of tea where maybe you wouldn’t have been able to have one. It is quick, easy, and clean in flavor. I would keep this in my purse. 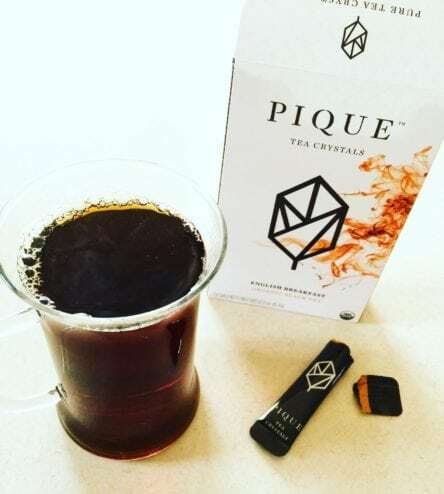 Personally if I am ever in need of a quick and simple cup of tea I would reach for Pique Tea Crystals. These appear to have been designed to satisfy the broader palette which they have succeeded. What I’m MOST excited about? Although, these teas are promoted to be consumed in regular everyday tea fashion I’m more excited about what I can do with these in other ways. 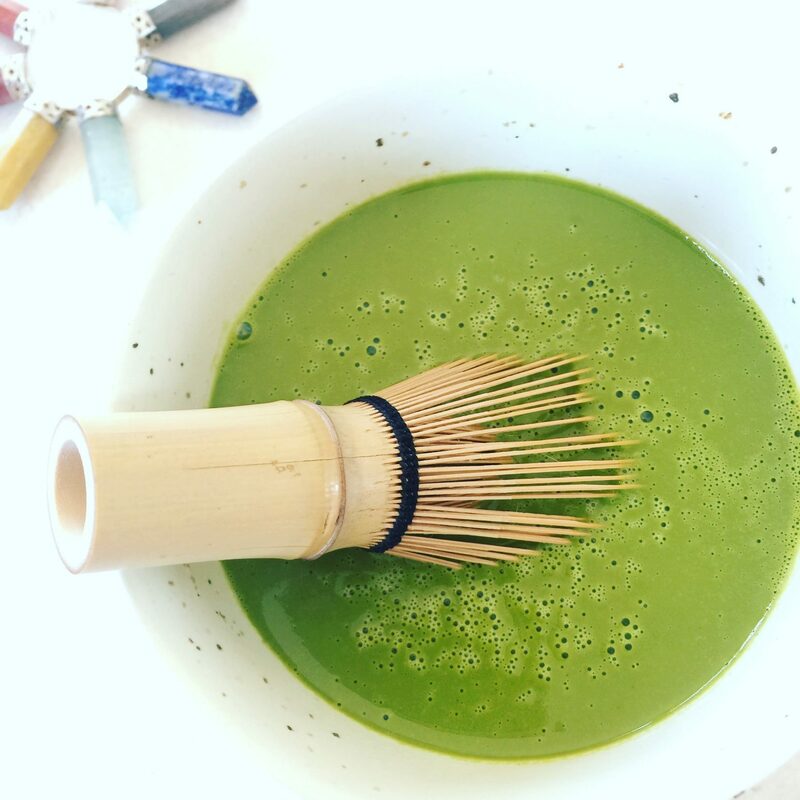 I want to find ways to add tea crystals to my cooking. I would like to make a quick bowl of tea infused ice cream or even sprinkle it on top of a vanilla cup cake. I’d imagine baking with the crystals may even be possible. I would even consider adding the crystals to a savory dish. I can only imagine a pop of English Breakfast in pasta sauce could add so much for depth in flavor. Most of all I think there could be some tea crystal infused cocktails in my future. Imagine even adding some of the crystals to soften butter and spreading it across some toast and pair it with the very same cup of tea along side. I see a lot of potential for this product. Yes, I would drink this. No, it would not replace traditional tea. I feel the tea crystals have a place in my tea cupboard as my on-the-go cup of tea especially when I already have limited options. I bet even when life has squeezed every ounce of energy from me the tea crystals would swoop in and save the day. As always my first choice will always be traditional loose leaf tea and preparation. However, if this Mother’s Day has taught me anything sometimes there just isn’t enough time and when that is true there is always Pique Tea. It fills the gap similar to what Starbucks has done with the Via instant coffee. They truly have a place in the market. I have samples I haven’t tried yet. I have actually been saving them for when I’m on the go, but I really like your idea of using them for baking/cooking. Sprinkling them on top of cupcakes sounds awesome!! 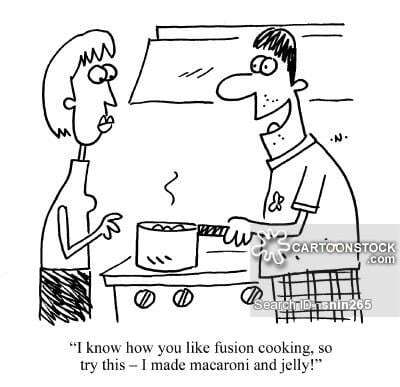 I don’t really get what crystals are but I would like to hear more about your cooking adventures with them.